This property is a 2 bedroom, 1 bath freshly renovated rental, fully furnished, and conveniently located near the Saginaw Bay, and Saginaw River. Property is less than a block from the bait & tackle store, local bar, and 3 minutes top from the DNR State boat launch located at the mouth of the Saginaw Bay. The property has plenty of off-street parking, room for boats, and cargo trailers. This cabin is the perfect location for fishermen for ice, summer, or fall walleye or perch fishing. Centrally located for the Saginaw Bay, or Saginaw River fishing you pick depending on conditions. Call Saginaw Bay Vacation Rentals for any special requests! We also have some great charters available! Looking for boat rentals, we can help with that too! Contact us for more information regarding your next fishing trip, and boat rental! WiFi and Cable now available! Great place, will be staying again! House was great! Amazing location! Even better location if your looking to catch walleyes!! Jessica and Jeff are superb host! Will be staying again! This is a great place to stay wonderful accommodations. We had a great time and had such good support and advice for our ice fishing. You're the best hosts we have ever had. Cant thank you enough, you are great and we are already planning our next stay. Rob, we were so happy to have you and your crew stay with us! We are excited to know that you enjoyed your stay, and will be back! We look forward to seeing you soon! The location was absolutely perfect for Dad and his boys on their Fun Fishing Weekend Away. You know it was really great when Dad says, "The cabin was very nice! We will have to do this again." Glad to hear everyone enjoyed their stay, and had a great time! Thanks for staying, and see you soon! This is a great place to stay. 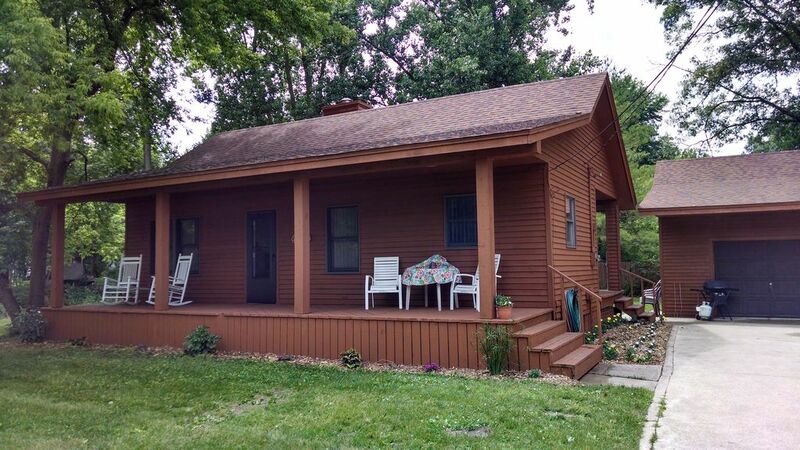 It has all the things you could ask for and a perfect location near the lake. We will be back here again for sure. Great accommodations! The number one way I would describe this home is CLEAN. Clean and tidy on both the inside and the inside. I was so impressed, I even finger-swiped the baseboards ;). No dust. Jessica provided plenty of fresh towels, linens, blankets, and pillows. The kitchen is well-stocked with the main necessities. There is a basket of good DVD’s in the living room for entertainment. Large parking area for our truck and boat. We felt very “at home” here, and would definitely stay again. Another plus is Jessica gets an A+ for responsiveness, and answering all my questions. She’s a wonderful hostess. We are so happy that you and your family enjoyed your stay. Thank you so much for the kind words! We hope to see you soon!